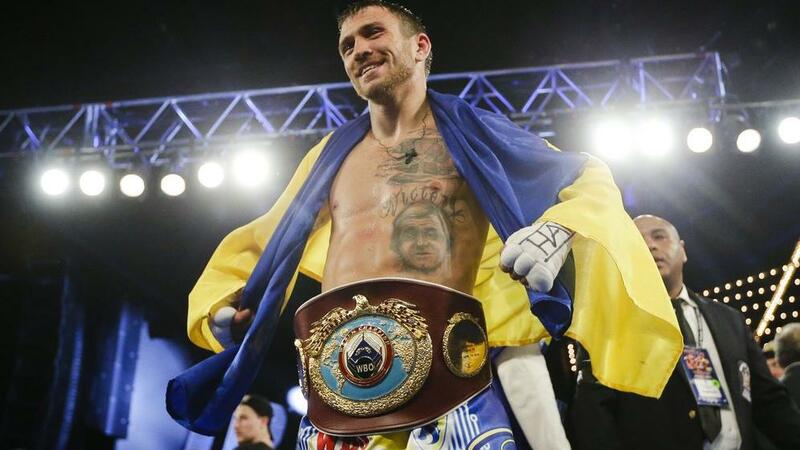 Vasily Lomachenko successfully defended his WBA and WBO lightweight world titles with a fourth round stoppage victory over his mandatory challenger Anthony Crolla at the Staples Center in Los Angeles in the early hours of Saturday morning. 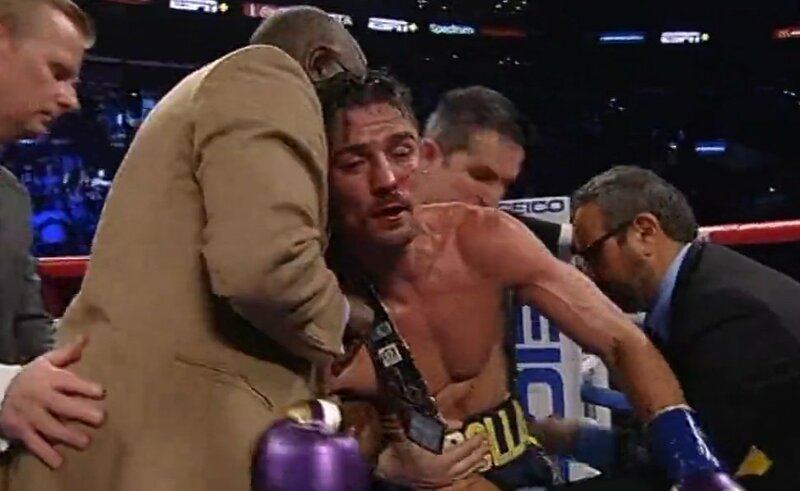 The first round looked as though, the boxing fans will be seeing a more competitive fight than expected with a back and forth battle, very cagey and looked like the fight could go either way.. 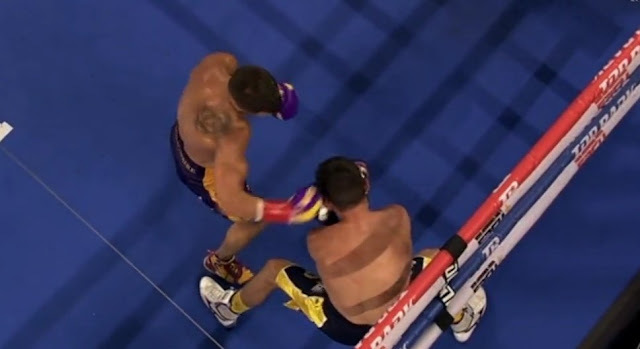 The second round wasn't as the first thought, as Lomachenko established his dominance with a southpaw jab and cornered Crolla before landing left hands to the head and body. 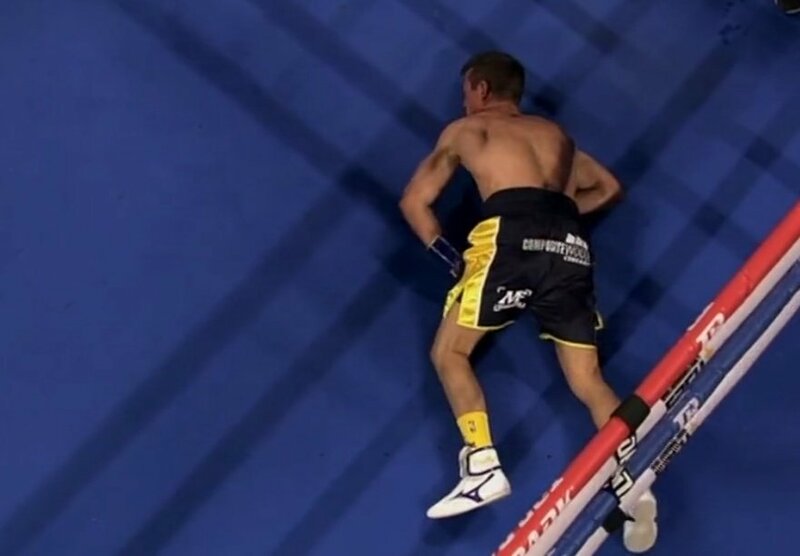 In the the third round, Crolla had no reply to Lomachenko and was easily battered the three weight champ and towards the end of the round, Lomachenko landed heavy straight left and an uppercut in the third, then a flurry that pinned Crolla to the ropes prompting the Referee Ress to intervene. Lomachenko had already started celebrating and security had already entered the ring before hearing the referee begin counting and that was also done till the end of the round. Smelling a knockout there, Lomachenko resumed his heavy attacks inithetfourth round and in no time sent Crolla to the canvas again. The Referee started counting but didn't complete it. 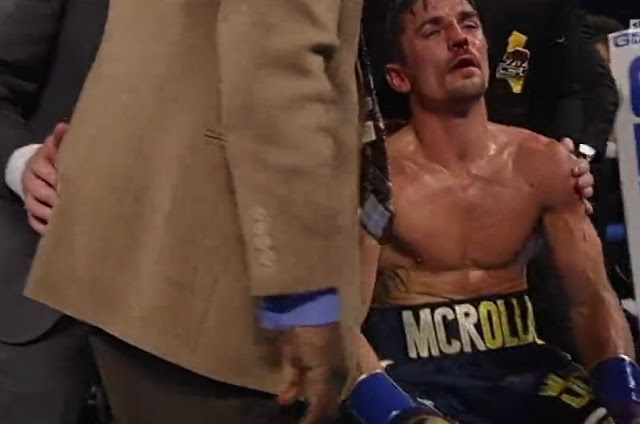 He allowed Crolla to be assessed by the ring side doctor, then ending the fight.